Sure, it’s still technically spring here, but we’re already running on summer hours. Rime is now open seven days a week starting at 5:00 pm. We’ve said it before, and we’ll definitely say it again: Buck-a-shuck is on now! 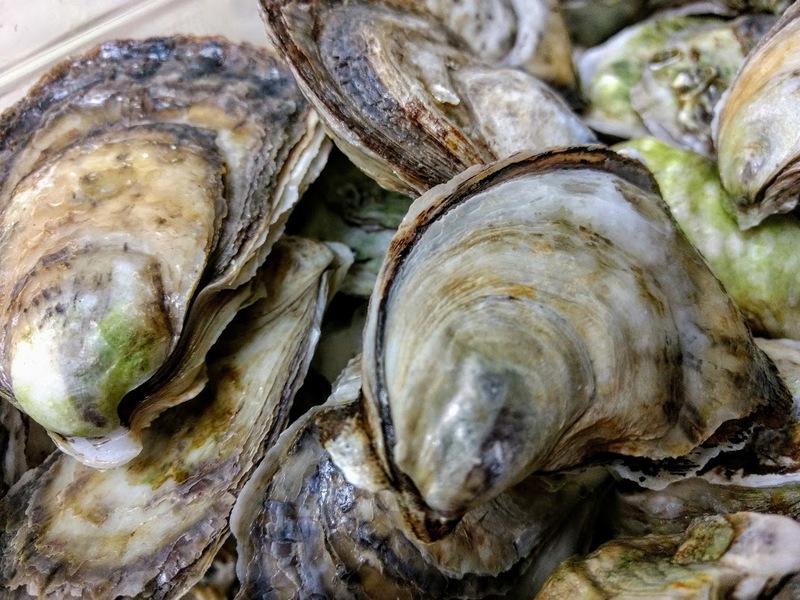 From 5:00 to 6:00 pm with the purchase of a drink, beautiful fresh Atlantic oysters are just $1 each. That’s right – just one dollar. Reservations are not required, but as summer gets closer, they are recommended. 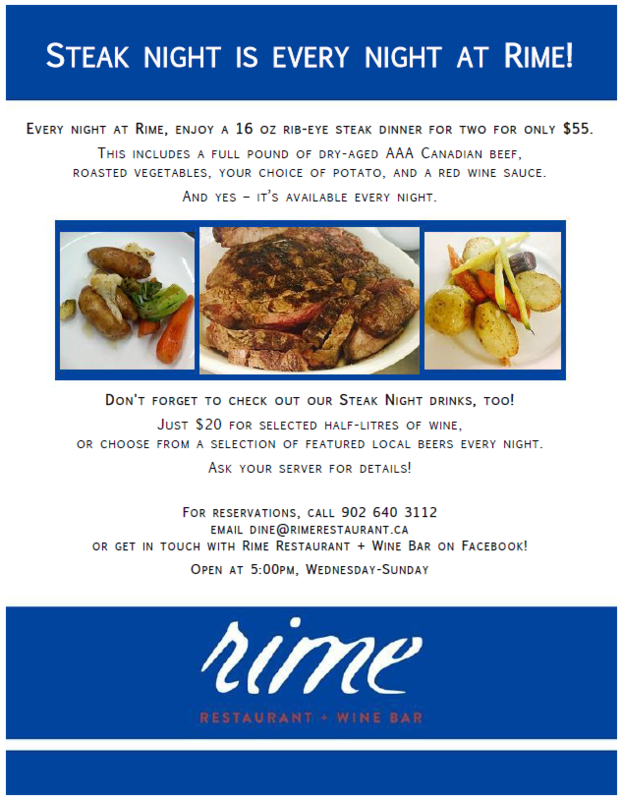 You can make your booking with us by calling 902 640 3112 or emailing dine@rimerestaurant.ca. Or if you’d rather, you can find us here at 9 King St. in Lunenburg and just drop in and say hi. It’s that time of year again: buck-a-shuck. 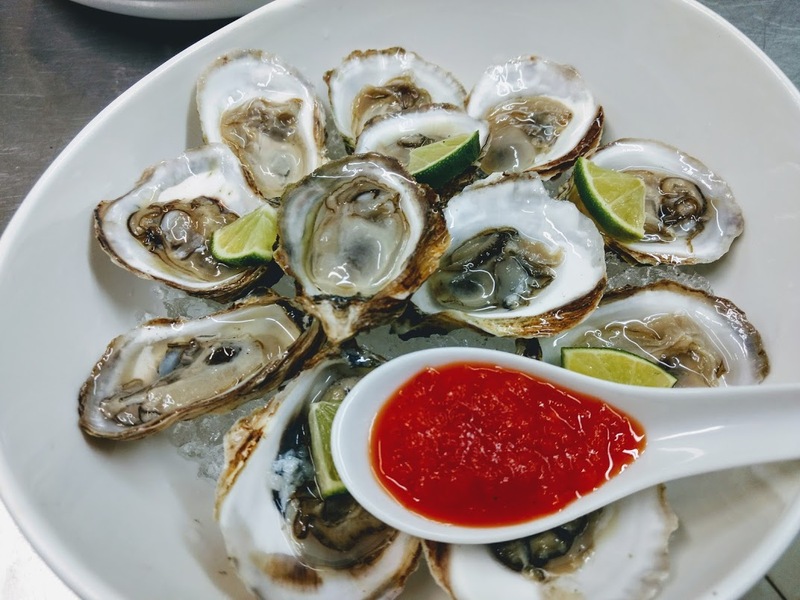 Between 5:00 and 6:00 pm every day, with the purchase of a drink, you can get beautiful Atlantic oysters on the half shell – served on ice with house-made red pepper sauce and just the right amount of lime – for just $1 each. And you can get as many of them as you want. One-dollar oysters and a fantastic selection of wines (and a few great brews, too!). What more could you need? 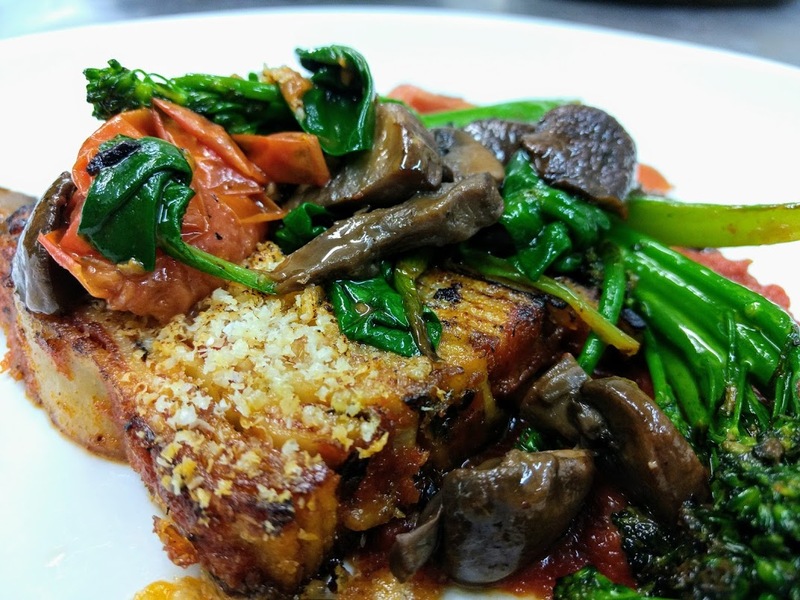 We’ve shifted things around a little for the winter, and we have a few great new dishes! 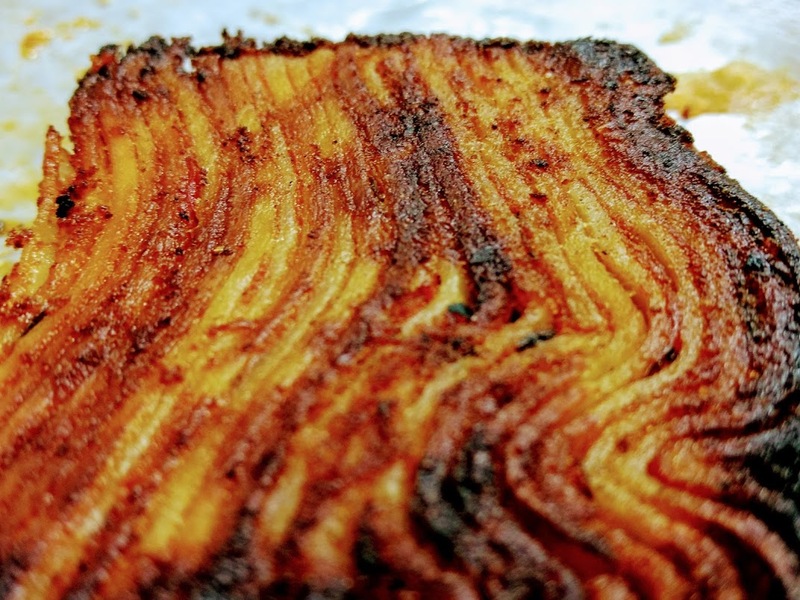 All twenty-five layers, perfectly crispy around the edges! 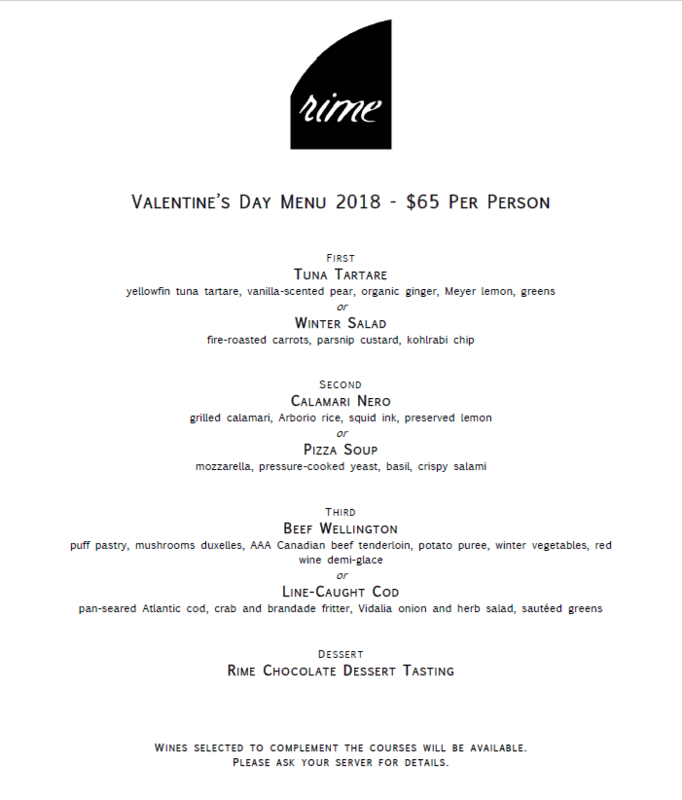 We will also be featuring our Valentine’s Menu from Feb. 10th to 16th, with four courses for only $65 per person, and paired wine suggestions. Don’t forget to make your reservations! 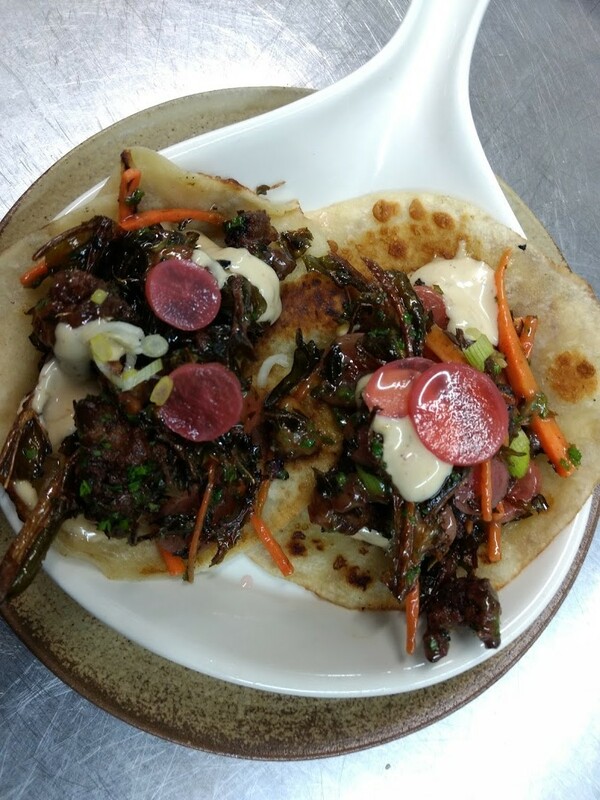 You can reach us by calling 902 640 3112, emailing us at dine@rimerestaurant.ca, or booking via OpenTable! Looking for somewhere to host your Christmas party? A festive or relaxed atmosphere, your corporate group or family and friends, dozens of guests or just a few – we are happy to work with you to provide the best evening possible, no matter what. Sample menus available upon request, and we can customize them to suit your need & taste. 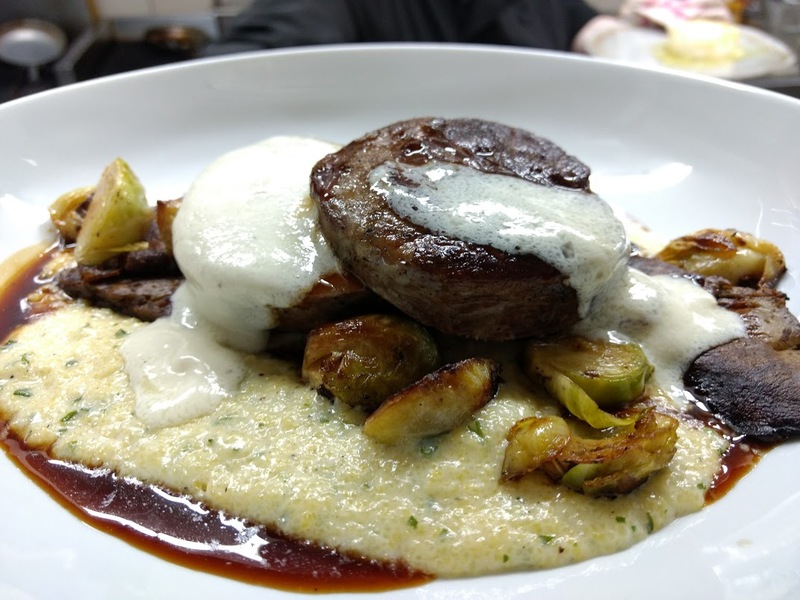 Starting in November, Rime will be closed Mondays & Tuesdays. We will remain open Wednesday-Sunday for dinner service starting at 5:00pm. For reservations, or to book your Christmas party with us, call 902 640 3112 or email us at dine@rimerestaurant.ca. On October 6th, before you head to LAMP to see acclaimed mezzo soprano Daniela Barcellona perform works by Schumann, Brahms, Gounod, and Rossini, join us at Rime Restaurant + Wine Bar, where ticket holders can enjoy six cold oysters, or an order of calamari, and a glass of Prosecco for only $15, between 5:00 and 6:30. Not sure you’ll have time before the show? Then join us afterward, where presentation of your ticket stub will get you a complimentary cocktail – our seasonal Blueberry Gin, featuring Ironworks gin and blueberry liqueur and fresh lavender (yes, even this late in the season!). We think Taste of Nova Scotia has the right idea with their Blueberry & Lavender Gin Fizz, and we’ve put our own spin on it. Don’t have your tickets for Friday night yet? Our friends at LAMP can help you out. And while you’re in town for Barcellona’s performance, don’t forget to check out Ironworks, Terra Beata, and us here at Rime. Rime Restaurant + Wine Bar will be closed Monday & Tuesday (Sept. 4th & 5th) while we take a quick breather and enjoy some time off with our families. We will re-open for dinner on Wednesday (Sept. 6th) at 5:00pm. We are also in the process of updating out menu to reflect the changing seasons – preserves are being put down, and all kinds of great fruit and veggies are starting to appear. Watch for further updates here and on our Facebook page soon! Thanks for all your feedback, reviews, and support! 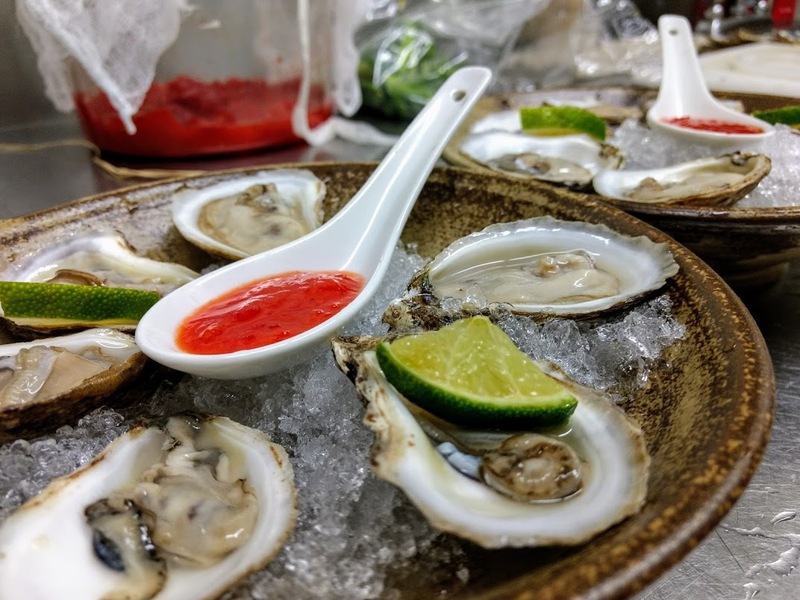 Rime Restaurant will be holding Buck-a-Shuck every day this summer, from 5:00-6:00 pm, with fresh oysters for just a dollar each. Come in and try a few (or a dozen! ), along with a seasonal cocktail or a new wine.